ALARM over apparent plans to locate an electricity substation nears homes at Racks has prompted a reassurance. Residents of the community had expressed concern when the site appeared to be identified as part of SP Energy Networks’ Strategic Reinforcement project – creating a new chain of electricity pylons across the region. MSP Joan McAlpine said: “Residents had been told that there was no preferred site or indeed any definite plan for the siting of an electric substation. “Concerns were raised with me following the publication of a leaflet showing a ‘preferred site’ for the substation in a field directly outside homes in Racks. Ms McAlpine added: “Residents have very real concerns and the village is wholly against the siting of the substation in this field. “They are worried about potential health implications as well as amenity and loss of quality of life. Ms McAlpine wrote SP Energy Networks over the concerns. And she demanded that consideration be given to a site south of Racks, which is not in sight of villagers’ homes. 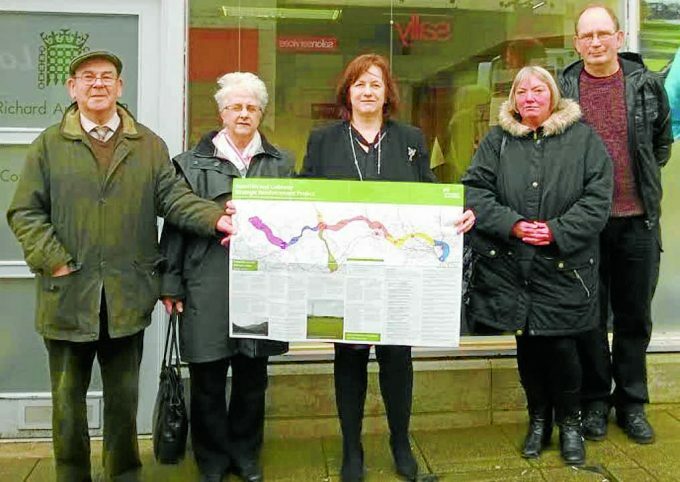 Seeking to allay concerns, a spokesman SP Energy Networks said: “The photograph in the leaflet was intended to give the community an appreciation of the broader siting area that we were consulting on at the time, and was not a confirmation that this was the intended site for a substation at Dumfries.